Forget about the rest of the year – the biggest Xbox One game of 2018 just arrived: “Forza Horizon 4” is now available. 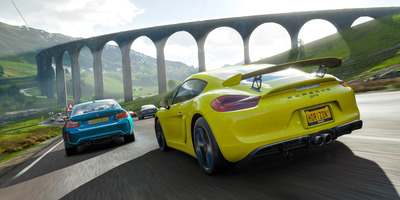 Like “Forza Horizon 3” before it, “Forza Horizon 4” sets a new standard in the racing genre. 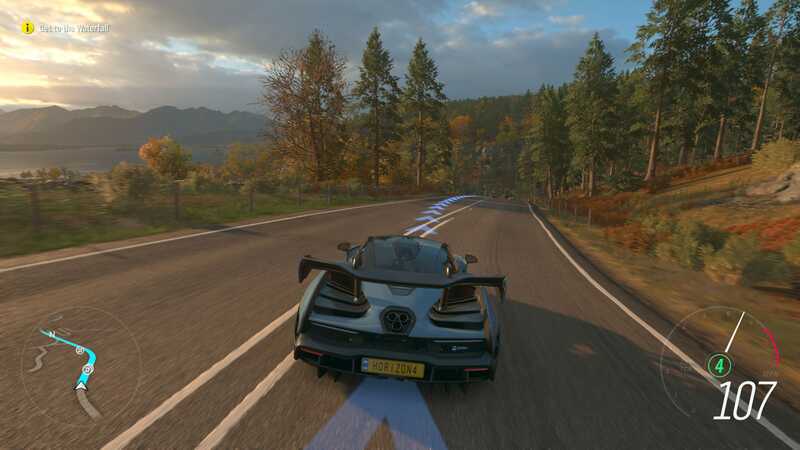 It’s more attractive than the last game, it’s got a better flow than the last game, and it’s got the same excellent driving that “Horizon” fans have come to expect. It is, in many ways, more of the same – but it’s more of something really good. 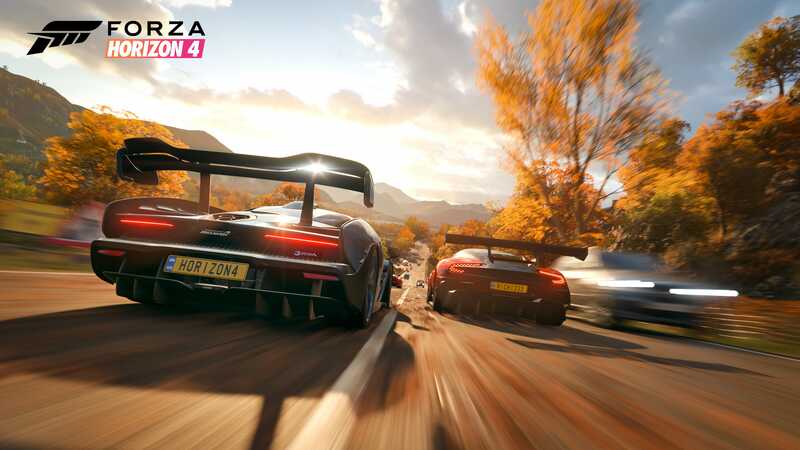 Whether you’re a fan of games like “Need for Speed,” “Burnout,” “Gran Turismo” or even “Mario Kart,” there’s something for you in “Forza Horizon 4.” That’s because it’s not just the best racing game available – it’s also the most accessible. Better still: It happens to be a great game, regardless of the whole “driving” bit. 1. “Forza Horizon 4” is intended for everybody. Before creating a character, or buying cars, or even seeing the map, the very first thing you do in “Forza Horizon 4” is race. The game opens – as it has for the past several iterations – with a freewheeling race that has you leaping from vehicle to vehicle. The instructions are simple: Right trigger to accelerate, left trigger to brake, and left thumbstick to steer. That introduction transitions to the real game soon after, and the game’s controls remain set in the default, easy-to-use setting. The game doesn’t urge you to amp up the difficulty, or even tell you where the settings are to change said difficulty. If you want to turn on manual transmissions, or turn off steering assists – or whatever else – you have to go find that stuff. The options are there in spades, but the game puts no pressure on the average player to ramp up the difficulty. Like the “Burnout” and “Need for Speed” games, “Forza Horizon 4” encourages plenty of “arcade-style” car gameplay. By that I mean there are lots of things to do that might be considered mistakes in a more straight-laced racing game. If you take your car off-road, for instance, and do a bunch of crazy jumps, “Horizon 4” actually rewards you for it. If you stay on the road, and carefully weave around traffic, the game also rewards you for that. Perhaps you’d rather pursue the smashing of various billboards strewn around the game’s massive landscape? “Horizon 4” is also happy to give you points for that. There’s a general sense of reward to pretty much every action (short of crashing) – a feeling that the game is encouraging whatever behaviour you enjoy. It’s welcoming! There’s plenty of genuine structure (I’ll get to that in a minute), but you’re more than welcome to do your own thing. And, most importantly, doing your own thing will still allow you to make progress towards unlocking cars, levelling up, and generally getting to do more stuff. 3. 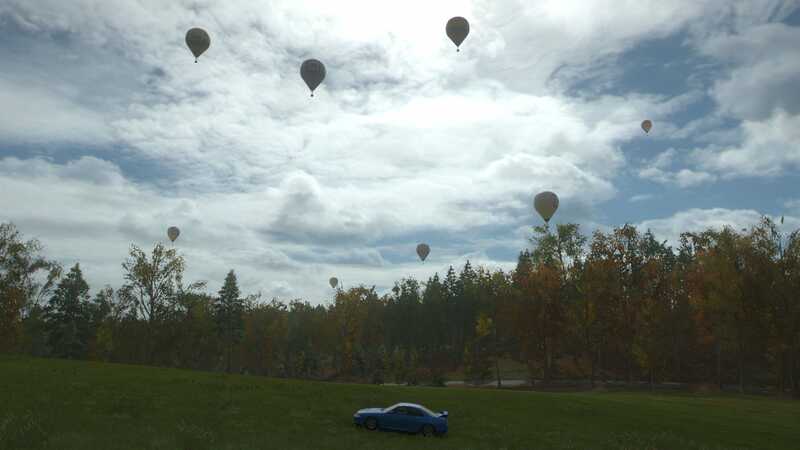 The spirit of “Forza Horizon 4” is irreverence. 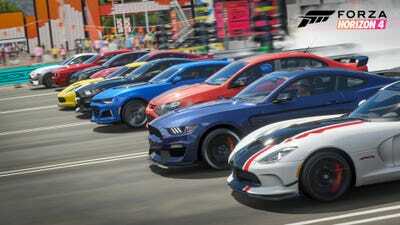 “Forza Horizon” has never been a “serious” racing series in tone. 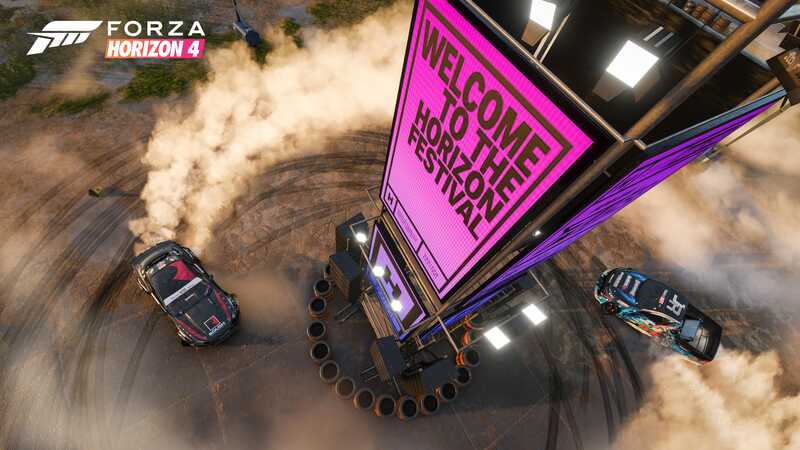 The “Horizon” franchise – a spinoff of the drearily serious “Forza Motorsport” simulation racing game franchise, also for the Xbox One and PC – is centered around the concept of a very silly music and car festival. It stars forgettable characters, and there’s next to no “story” holding it together. I would argue that this is all intentional. The game’s creators clearly know how thin the story is – how serious does the story in a racing game need to be? – and have dug in more than ever with “Horizon 4.” The slight framing of a “festival” has now transformed into a non-stop party, spanning all four seasons. When do people work in the world of “Forza Horizon 4?” They do not work. They live for the festival. They die for the festival. There is only the festival. Better still, there’s a custom avatar that does silly dances before and after races. Occasionally, you’ll find a place in the massive open world that is especially picturesque – and your character is able to get out and wildly gyrate in said environment. For what reason? I have no idea, but it’s incredibly endearing and silly. More than ever, “Horizon 4” is absurdly silly and it knows it. 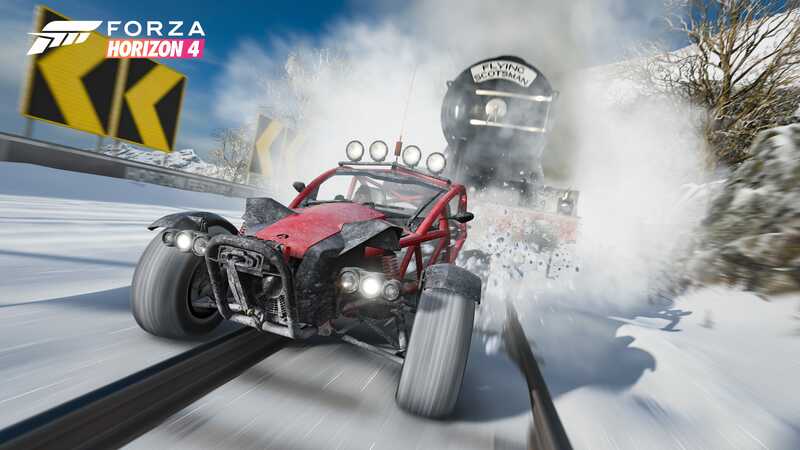 Playground Games/Microsoft StudiosA car for every season. 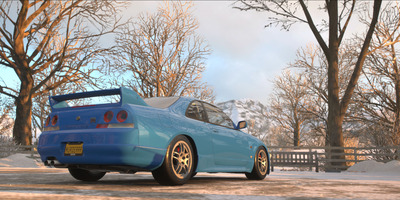 The big addition to “Horizon 4” from previous games in the series is seasonality – the entire world changes based on the season. How this plays out is exactly as you might expect: There are essentially four very different versions of the same very large open world. You’ll get muddy dirt courses in the spring, and the lake freezes over for ice racing in the winter. Not only is it visually appealing, but it adds a ton of variety to a franchise that’s already known for having tons to do and see. 5. There’s so, so much to do. Playground Games/Microsoft StudiosThe game’s ‘Drone Mode’ enables gorgeous photoshoots, like this one with my Nissan Skyline GT-R.
Somewhere between racing giant trucks through a snowstorm and completing the “Horizon” version of the end of the first “Halo” game, I realised how ridiculously versatile the series has become. If you’re interested in drag racing, “Horizon” has that. If you’re interested in rally, or drifting, or street, “Horizon”also has all that. If you just want to smash the gas and the brakes in very pretty cars, “Horizon” is here for you. “Forza Horizon 4” is the only racing game I’ve ever played that so brilliantly straddles the line between accessibility and depth. Whether you’ve never played a game or you’ve got a racing wheel setup, “Horizon” has you covered. That it manages to scale all of it many events to any type of player is especially impressive. 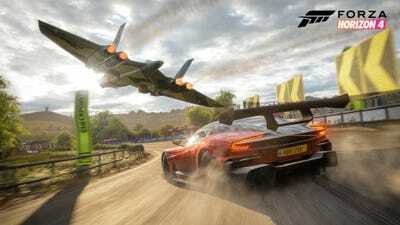 As such, “Forza Horizon 4” is one of the few games that you could suggest to pretty much anyone – they just have to own an Xbox One or Windows PC. 6. It still <em>feels</em> better than any other racing game. The sense of weight, and speed, and control in the “Horizon” series is second to none. There’s a responsiveness to cars in “Horizon” that makes the general act of playing the game enjoyable. I think of driving in “Horizon” the same way I think of the shooting in the “Destiny” franchise – it’s the standard by which other games are measured. All of which is to say one thing: Just driving around in “Horizon 4” is crazy fun. *If I haven’t impressed you yet with all the car jargon, I’m sorry to tell you I’ve reached my limits.